Our website features the best Oldsmar real estate search for homes, condos, land and foreclosure properties available. It is the only site you will ever need! It is easy-to-use and updated by the official Realtor®’s database every 15 minutes. East Lake Woodlands, which is a large gated country club community that within its confines are Single Family homes, Condos, and Villas. There is Golf, Tennis, Swimming, dining, and clubhouse facilities at East Lake Country Club. The community also boasts contract security, and many different subdivisions within its borders. with a state of the art track, as well as ballfields and a great youth sports program. 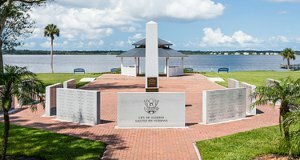 Veterans Park is also a great get away on the water in Oldsmar. There is a pavilion, playground, Trails, fishing, and plenty of places to just lounge and relax.